Welcome to another edition of DT's cure for the Monday morning blues -- What Am I? In this better than a 9-inch pumpkin pie game we find a random picture of a car and you get to guess what it is. Last week's puzzle was an interior pic of an AMC Sunchaser that was quickly solved by AMC savants Andrew Liss and Fleetwood T. Brougham, so this week I'm going to hit below the beltline and see who figures this one out first. Just what am I anyway? Comments below. Update: This is a 1990 Dodge Power Ram Rod Hall Signature Edition Pickup, offered here on eBay currently bidding for $20,925 reserve-not-met with less than one day to go. According to this Popular Mechanics snippet, the Signature Edition was the result of an alliance between Rod Hall and Carroll Shelby. A number between 14 and 33 were built and sold because the off road capable suspension was not appreciated by the guys at NHTSA (who don't like vehicles that feel like a weeble on the freeway) and most were recalled. Congrats to William Robinson for solving the riddle. 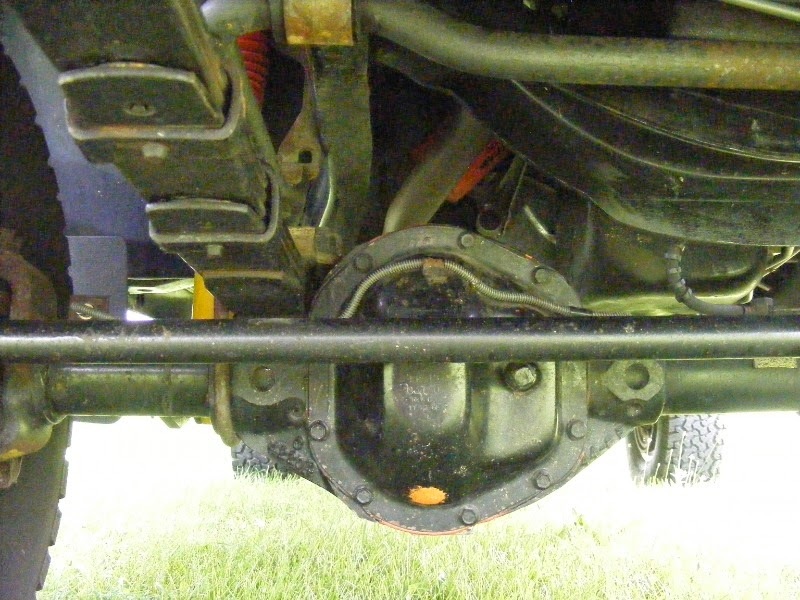 Sure looks like the front of a solid-axle 4wd vehicle. I was going to guess FJ40, but won't. Here is a hint. 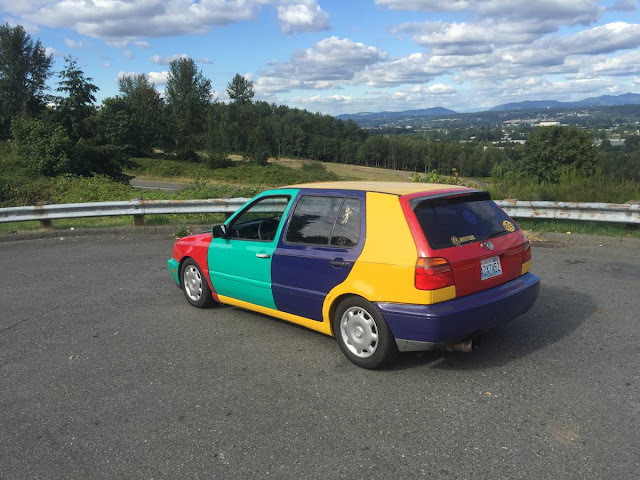 This is a special edition of a regular vehicle. Only a handful ever built and most were recalled by NHTSA - few remain. Um, the rare Hummer Edition SmartCar ? Oooh, I know the answer! Am I ineligible due to DT editor status? I swear I didn't cheat! BAH! Curse you Will Robinson! 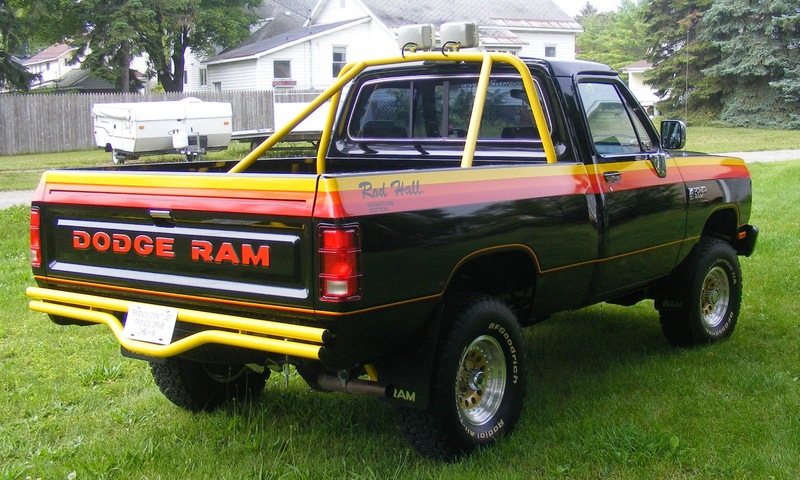 1987 dodge ram rod hall signature edition. Took all of two minutes. Once I recognized the diff. I had to google the actual name as I didn't remember it, but knew the story. You are correct William Robinson! I will update the post, but you are looking at one Rod Hall signature edition Dodge Ram Van. "I picked up my ram and went home," said the farmer.